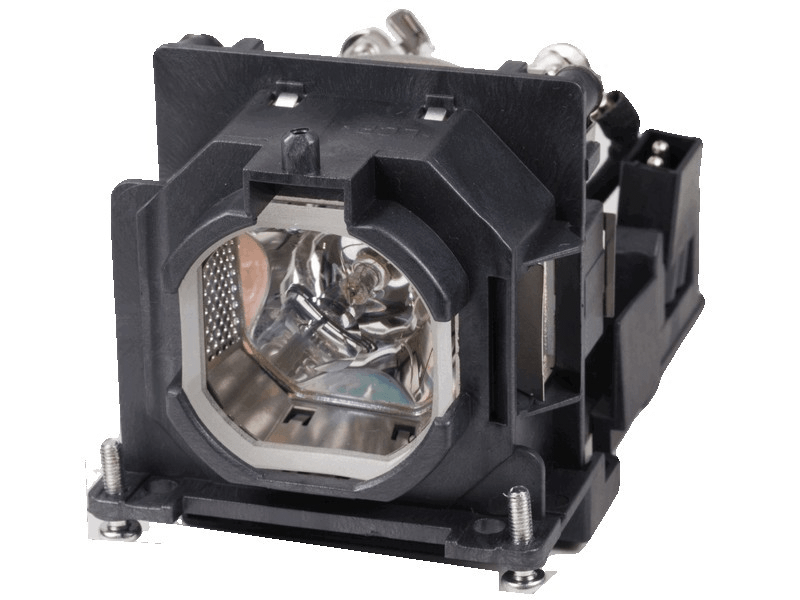 The PT-LB330 Panasonic projector lamp replacement comes with a genuine original 230 watt Ushio brand bulb inside rated at 3,100 lumens (brightness equal to the original Panasonic lamp replacement). The PT-LB330 lamp has a maximum rated life of up to 10,000 hours! Normal lamp settings result in a 5,000 hour rated life, Eco1 setting has a 6,000 hour life and Eco2 setting results in a 10,000 hour rated life. While pressing ^ button on control panel you need to press and hold <input/enter> button for over 8 seconds. Now press <info> button to verify your lamp timer is reset to zero. Our PT-LB330 Panasonic lamp replacement has superior brightness and lamp life than other cheaper generic replacement lamps being sold elsewhere. Purchase with confidence from Pureland Supply with a 5-star Google rating, free ground shipping, and a 180 day warranty. PT-LB330 Panasonic Projector Lamp Replacement. Projector Lamp Assembly with High Quality Genuine Original Ushio Bulb Inside.